As the days get warmer and flowers start to bloom, make plans to prime your lawn for summer. From dry spells to rising temperatures, summer can wreak havoc on your grass and landscaping without proper preparations. Here are a few tips to keep your yard in peak condition throughout the summer months. What it does: Thatch is a layer between the soil and grass blades containing both dead and living grass. A build-up of thatch blocks sunlight, water and nutrients from reaching the soil below, preventing new, healthy growth. How to do it: Use a thatching rake to remove dead material. The rake will slice into the lawn, so rake in one direction to prevent root system damage. Once the thatch is loose, use a leaf rake to collect the material for disposal. What it does: Aerating perforates the soil with small holes, allowing water, air and nutrients to reach roots. Allowing these to enter the soil creates a healthier and more vibrant lawn. How to do it: Use a lawn aerator and make multiple passes over the most compacted areas of grass. Leave the oil plugs in the lawn and allow them to dry out, then run them over with a lawnmower or with a rake. Pro Tip: Wait until your lawn is moist enough, ideally after a rain shower, so using the aerator is easier. What it does: Eliminates blighted areas of your lawn by reseeding sections that no longer support healthy growth. How to do it: Remove any dead grass and material first, and make sure the remaining soil is level. Spread a small amount of starter fertilizer before adding the seed on top. You can use mulch or a seed accelerator to encourage growth, along with a healthy supply of water. What it does: Soil acidity affects how well grass grows. If your lawn is less than lush and fertilizer doesn't seem to help, the soil may be too acidic. Liming restores the soil to the proper pH level, which should be between 6 and 7. How to do it: Check your soil with an at-home test. If your lawn is below the recommended pH levels you'll want to purchase lime from your local garden center. Use a rotary spreader to distribute the lime in a crisscross pattern onto your grass. Why it matters: Longer length allows grass to retain more water while providing shade for the roots. 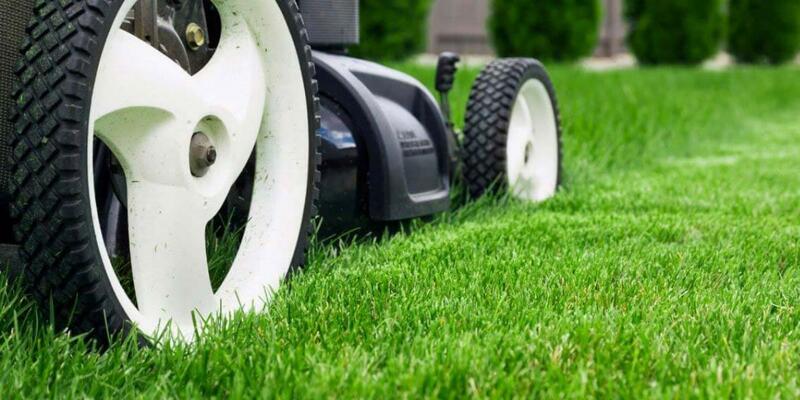 In the summer, keep your grass at the highest recommended height and never cut more than one-third of the blade length when mowing. Unsure about how tall your grass should be? Today's Homeowner has a chart to help you determine height based on type of grass, seasonality and growing conditions of your lawn. Why it matters: A lush, green lawn will turn brown without proper watering, especially when combined with high heat during summer months. Remember to water your lawn with a sprinkler or hose when the soil is dry. If you rely on a sprinkler system, consider upgrading to one with a rain water sensor to avoid over-watering your lawn. Why it matters: Your grass does not get all it needs from the soil alone. Fertilizer plays an important role in a healthy lawn while minimizing weeds and pests. Use the correct fertilizer for your grass to achieve optimum results. Does your lawn need a little more TLC? 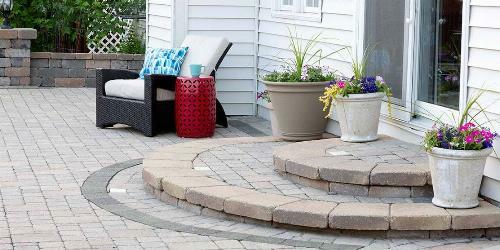 Check out our "Complete Guide to Yard Cleanup" for step-by-step instructions and expert advice. 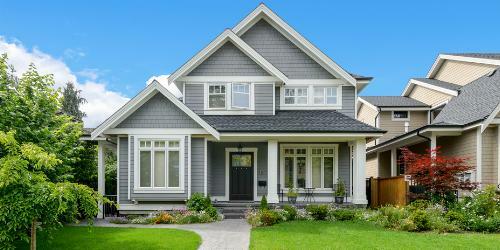 Having a well-manicured lawn and lush landscaping does more than boost your home’s curb appeal. Having a healthy, thriving yard gives you and your family a beautiful outdoor space to enjoy, and even has a positive impact on the environment.